Big Fig Mattress Review| Read Our Review Before Ordering! 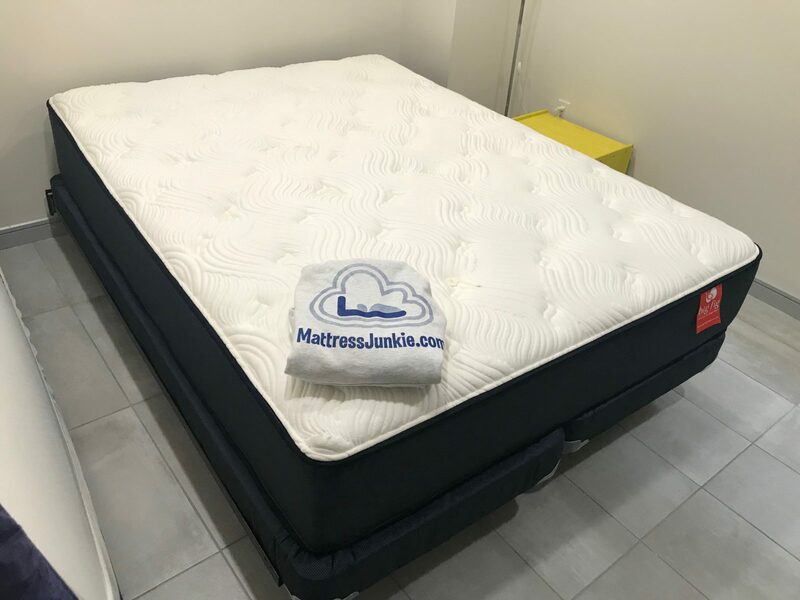 Big Fig Mattress Review was recently completed by the MattressJunkie.com team. Big Fig is an ultra- durable mattress designed for heavy sleepers. Those with larger figures may have had issues in the past with the mattress sagging or softening, loss of support or comfort over time, sleeping hot, etc. Big Fig solves these issues and is the first mattress that we have seen that’s especially designed for larger figures. Big Fig is delivered with white glove service and also comes with a foundation that will support your mattress over time. Metal frames are also available through Big Fig. I highly recommend getting the whole setup at one because the white glove delivery will take care of all assembly. The bed frame is made with recycled railroad steel and will support 2000 pounds. Let’s dive in further on the Big Fig Mattress Below. Tell me more about the Big Fig Mattress cover. Big Fig’s mattress cover is hand tufted in 16 places. 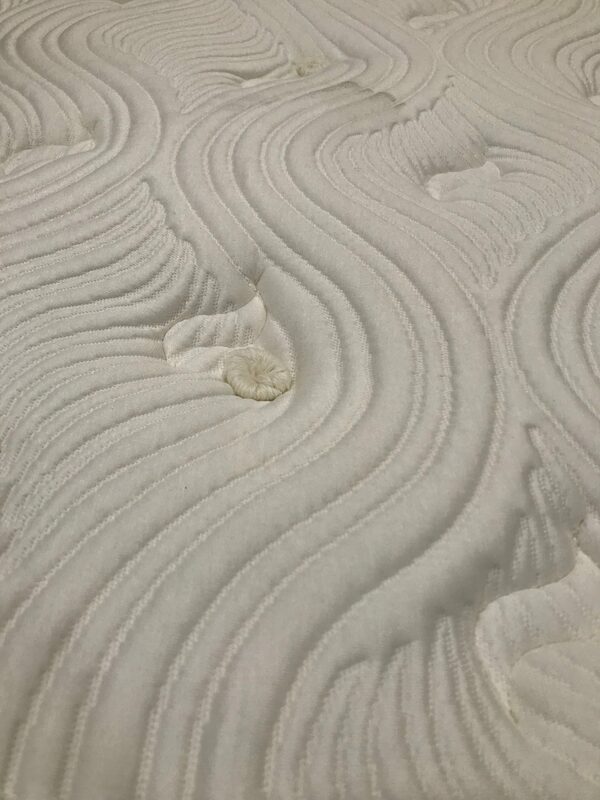 Tufting is a process of compressing the mattress internally and adds long term support and durability. The fabric cover is breathable and helps regulate temperature. 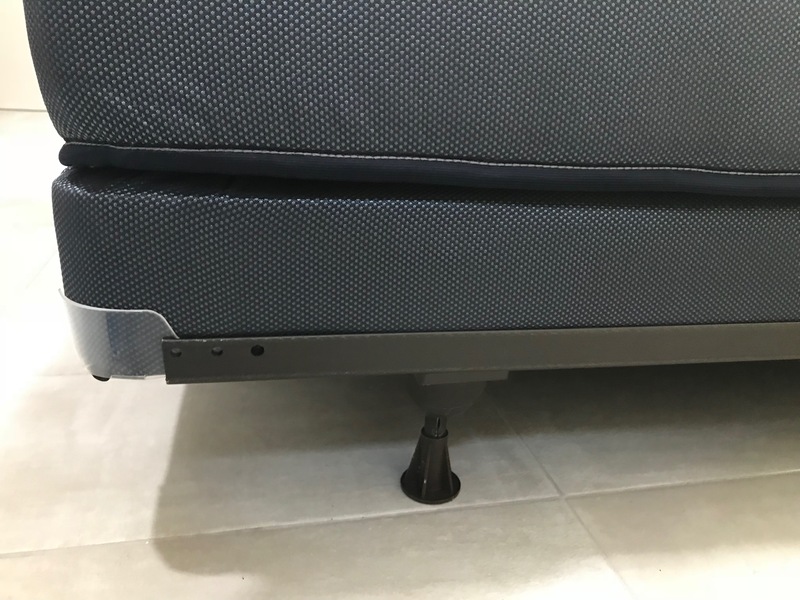 The Big Fig mattress cover has ThermoGel quilted into the top over perforated foam so this gives the sleeper another layer of cooling to the mattress surface. The cover itself is 66% polyurethane blend, 30% viscose, and 4% poly/Lycra. What’s Under Big Fig Mattress cover? The Big Fig Mattress is 13 inches in height. The photo above shows each layer inside the Big Fig Mattress. We dive into those layers below. 1- Thermo gel treated fabric for temperature regulation. 2- Gel infused Latex Foam for another layer of temperature control and comfort. Perforated for maximum airflow. 3- 3 layers of high density poly foam for no sag cushioning. What Sleep Style Works Best with the Big Fig Mattress? The Big Fig Mattress is designed to hold up to 1000 pounds. The mattress is firm so back and stomach sleepers with larger figures would find it very comfortable and supportive. What type of base should I place my Big Fig Mattress on? The Big Fig Mattress comes with a foundation built to support the mattress and weight of sleepers. I would recommend getting the bed frame also from Big Fig. The frame is made with recycled railroad steel and can support 2000 pounds. Will my mattress have a chemical smell when delivered? Big Fig is not compressed in a box. This mattress will be delivered with white glove service and setup. My mattress had no smell when the plastic was removed so I wouldn’t expect a strong off-gassing period like you have with some memory foam mattresses. The Big Fig Mattress did not sleep hot. 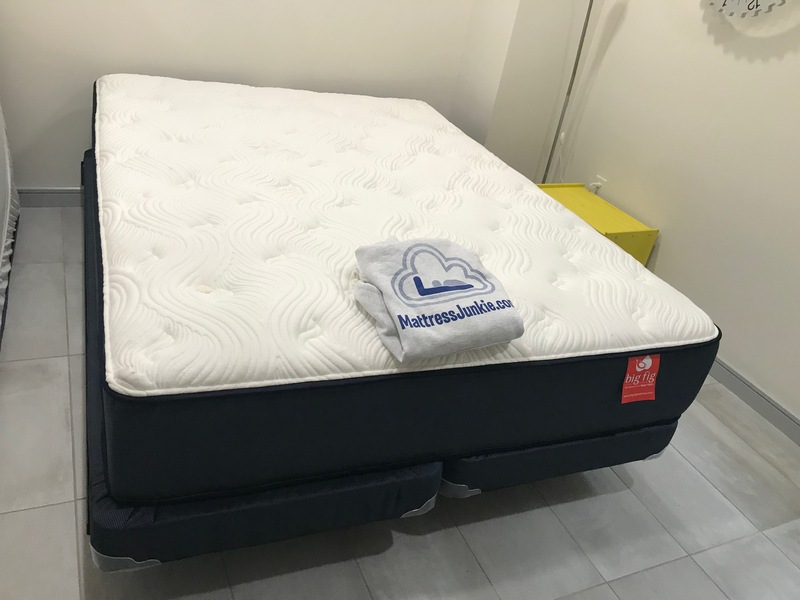 With the Thermogel treated fabric and gel infused latex, temperature control was not an issue for us at all with this mattress. 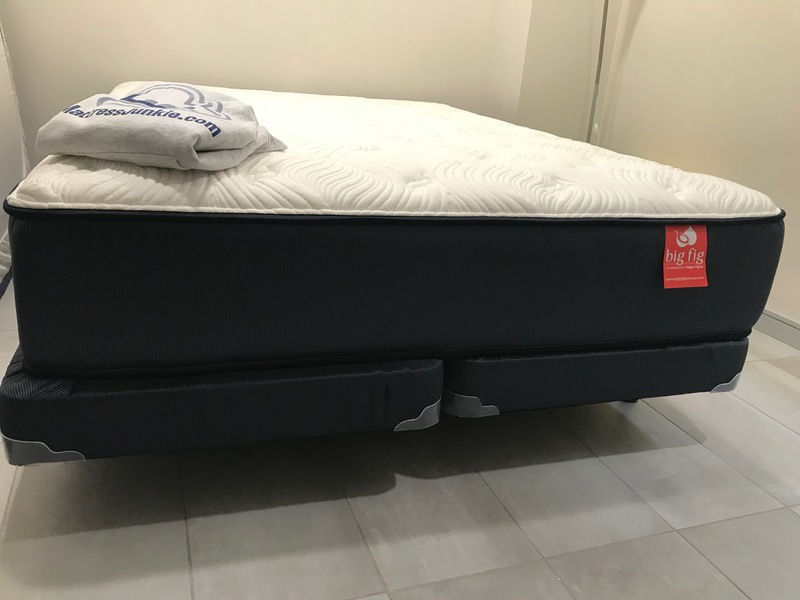 What Type of Warranty and Sleep Trial does Big Fig Mattress offer on this mattress? The Big Fig Mattress has a 20 year warranty and a 101 night money back guarantee sleep trial so you can always get a full refund if you aren’t happy with your mattress within that 101 day window. Do we recommend the Big Fig Mattress? The Big Fig Mattress is high quality and very well made. The materials are top notch and are made to last. Heavy sleepers have finally found a mattress that will not sag and will provide top notch support. The mattress would be a little firm for those under 220 pounds or so since the mattress is built to support 1000 pounds. If you are a heavier sleeper, you have found the perfect mattress for you. I also highly recommend getting the metal frame. It guarantees you have the proper support for your Big Fig Mattress out of the gate. Order the Big Fig Mattress Here….